The aqueduct of Sylvius is a narrow channel, about 15 mm long, that connects the third and fourth ventricles. 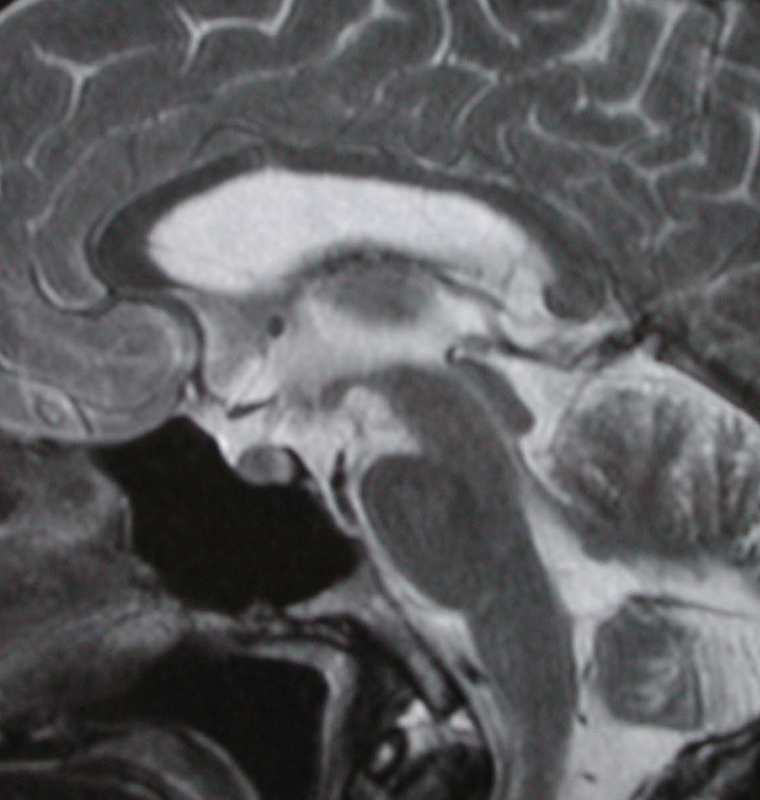 It is situated in the dorsal midbrain, surrounded by the periaqueductal gray matter. Its mean cross-sectional area is 0.5 mm2 in children and 0.8 mm2 in adults (34, 91). During embryological life, the aqueduct is as large as other parts of the neural tube. Then, during fetal development, because of thickening of surrounding nuclear masses and fiber tracts of the mesencephalon, it begins to gradually narrow and acquire its adult configuration (14, 51). The origin of the eponym “aqueduct of Sylvius” dates back to a medieval anatomist, Jacques Dubois (1478–1555), who referred to himself with the latinized version of his surname (110). Endoscopic anatomy of the aqueduct: There are typical anatomical deformations of the ventricles in aqueductal stenosis. Neuroradiological findings: The correct interpretation of the modern neuroradiological techniques may help in selecting adequate treatment between the two main options (ETV or shunting).